Luca and I visited the Musee Mecanique during our honeymoon last year. It is located at the Pier 45 in San Francisco and it includes a private collection of hundreds of mechanically operated musical instruments, arcade games, voyeurism slot machines and, possibly, the only existing steam engine motorcycle (built in 1912). The entry to the museum is free of charge and you will go by spending some quarters by playing to the different games, as we did. Fair deal. The owner of the museum, Edward Galland Zelinsky, explains in its website how the collection originated. We had a great time there discovering what kind of games were played decades ago in feasts, remembering the kind of games we did play in the late 80s and 90s and seeing the great commonality in the mechanisms that operate otherwise seemingly different games. The same or similar mechanisms are used to make games of soccer, baseball or ice hockey. Or the contrary, different mechanisms are used to conceive very dissimilar machines to play baseball. See some of the pictures we took in the museum. 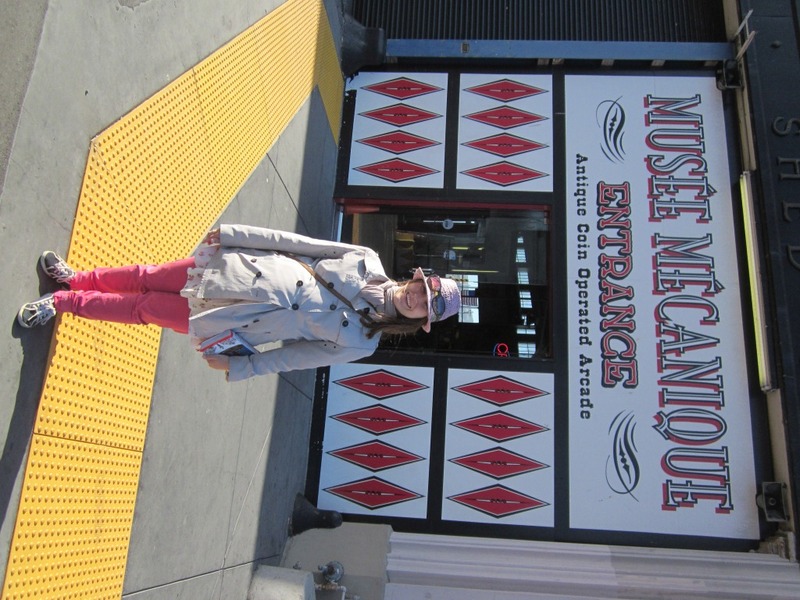 We definitely recommend the visit to the museum as part of a walk to the Piers of San Francisco.